1. An accordion folder capable of storing up to 200 sheets of paper, so your notes/worksheets/bills/takeout menus can all stick together. Get it from Amazon for $7.99+ (available in eight colors). 2. 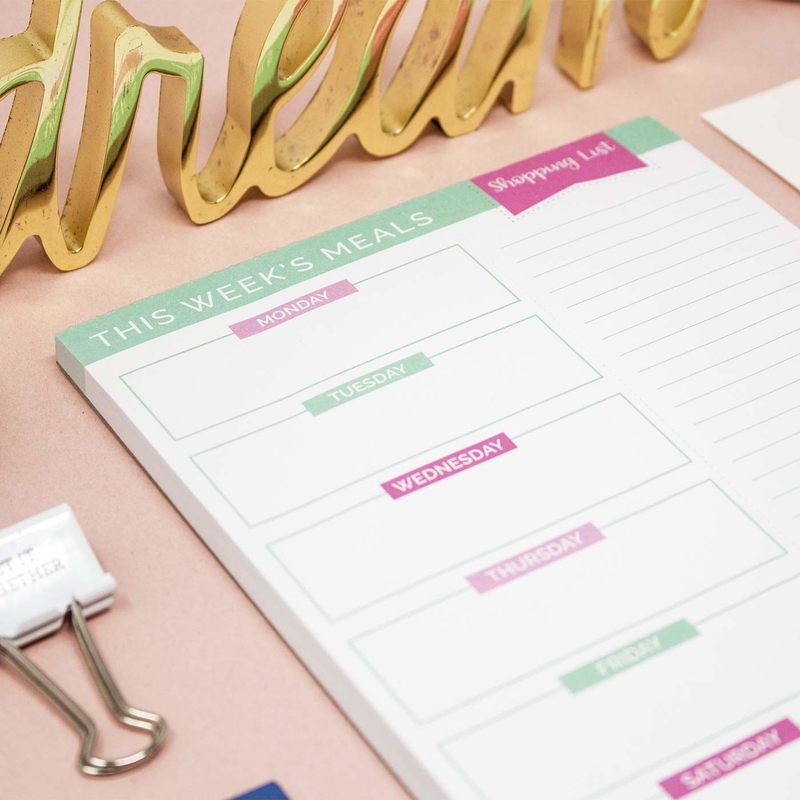 A meal planning pad that helps you map out the entire week's meals and then draw up a shopping list that can be torn out. No more asking what everyone wants for dinner or wandering the grocery stores aisles in a confused haze. Just set it all up on Sunday and you're *~GOOD~*. 3. An over-the-door iron and ironing board holder perfect for your laundry room or basement. 4. A fancy tea organizer with pull-out drawers so you can organize your teas and throw away all those space-wasting boxes. 5. A makeup caddy so you can grab everything you need in one swoop and get into the bathroom before your roommate has a chance to sneak in. 6. Spice-cradling drawer liners to keep everything in its place, because there's (orega)no way you're gonna put up with bottles rolling all over the place. 7. A cascading rainbow file organizer sure to make a hue-ge difference with how you organize. See our full write-up of this wall file organizer. Get it from Amazon for $12.74+ (available in three colors). 8. A hanging closet shelf so you can really optimize storage space. Not everyone can be my mom and have literally three dressers in their bedroom. Yes, she really has three dressers! I bet she could still use one of these, though. 9. A four-layer colored pencil organizer with room for 72 pencils or pens, along with spaces for a sharpener, ruler, and eraser. Your coloring book won't know what hit it. 10. A honeycomb drawer organizer so you can stop rifling blindly through your drawers looking for your lucky pair of socks. Now you'll know they're always in the top right corner, next to your lucky underwear. 11. 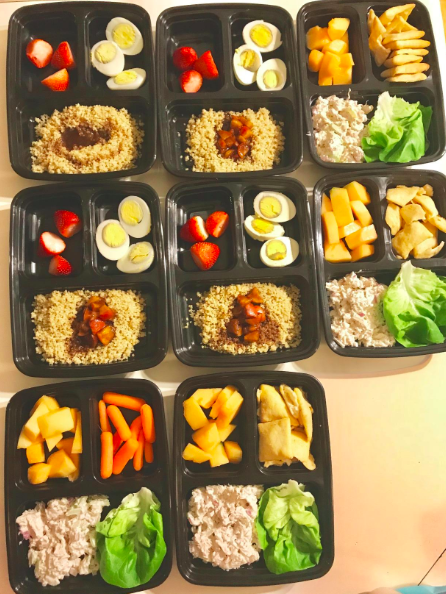 A pack of food containers for pro-level meal planning. 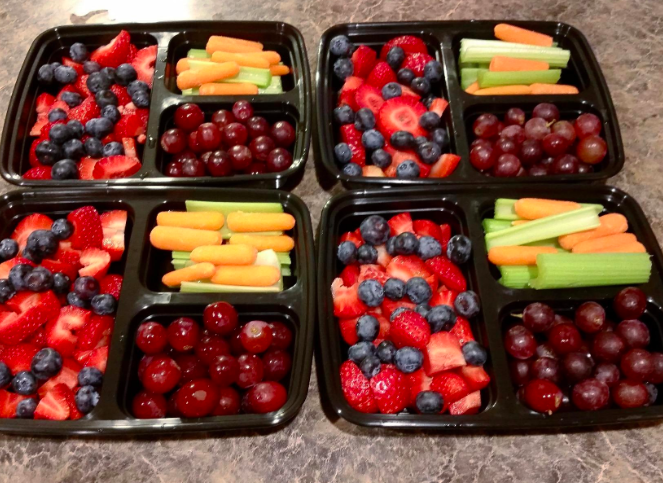 You can just make a bunch of food in the beginning of the week and separate it into multiple containers for easy to-go meals. These are microwave, dishwasher, and freezer safe! Get a 15-pack from Amazon for $13.79 (available in three bulk sizes). 12. A sweet lil' hedgehog sponge holder so cute, you might get excited to do the dishes. I said MIGHT, ok????? 13. A hanging system to get if you've ever had a broom fall and smack you on the head. This isn't a cartoon — buy this! It can hang up to five brooms, mops, rakes, hoes, hockey sticks, or whatever. It also has six hooks for hanging various things like sports equipment, rags, and hats. 14. A pack of jumbo sticky note dividers so you can break up your notebook and keep summary notes for each section. Hellooooo 4.0 GPA. Get a single pack from Amazon for $3.71 (available in packs of 1–12). 15. A pineapple bathroom cup for a sweet way to hold your razor, toothbrush, or shower brush. Sadly, it's not big enough for a piña colada but c'mon. 16. An over-the-door organizer with 24 pockets so you can really make use of your vertical space. You can put whatever you want in this baby, from shoes to snacks, cleaning supplies, leggings, stuffed animals, plants, water bottles, diapers, and more. Check out our writeup of this hanging shoe organizer for even more ideas. 17. A spinning citrus pill organizer to help make remembering to take your pills easy-peasy lemon/pomelo/orange squeezy. Get one for $6.99 (available in orange or pomelo) or all three for $9.26 from Amazon. 18. A drawer organizer ready to transform your messy filing cabinet into something worth showing off to your co-workers. On like, a slow day. Get eight bins from Amazon for $14.99. 19. A pair of plastic bag holders that sure beat just forcing all your bags into one slightly bigger bag. 20. Sticky cord holders to prevent the awful feeling of watching your charging just slip away and under the desk. 21. Stick-on pen cups for people who don't have desk space for a whole mug or utensil holder. Get two from Amazon for $7.98. 22. A pack of floral file folders to bring some life to your dull office job. Get a pack of six from Amazon for $9.95 (available in three different patterns). 23. An over-the-door holder for all your pans, cutting boards, and other normally homeless cooking items. 24. A lid organizer that pretty much speaks for itself. I don't need to look in your cabinet to know you need this. 25. A floating kitchen organizer for anyone who wants a more magically looking kitchen. You're not a cook, you're a witch, and this is not a stew, it's a bubbling potion. This can be mounted under a cabinet or on a wall. Just don't use it with knives, eek! 26. 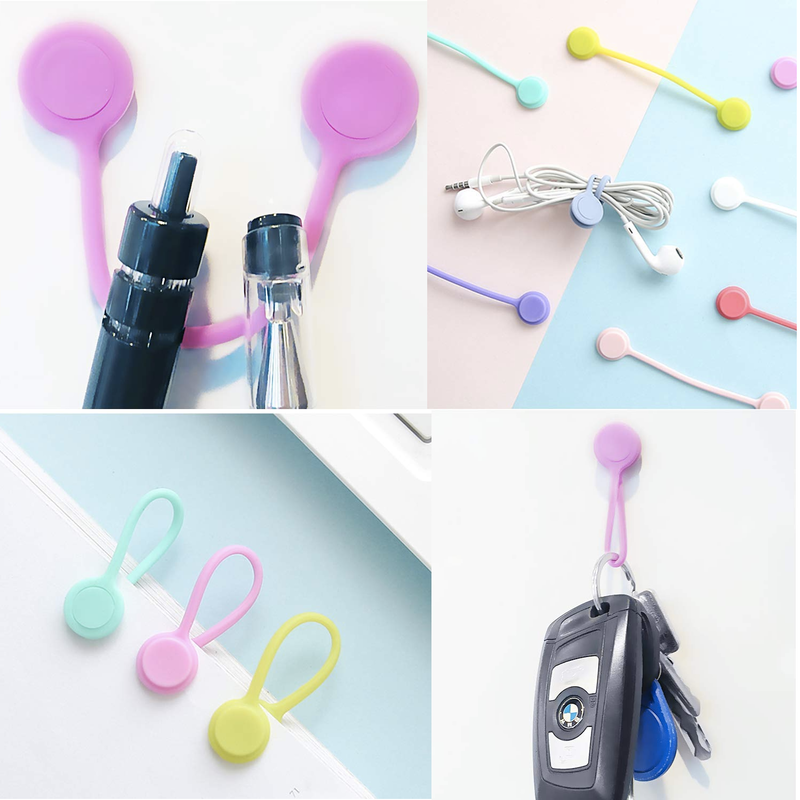 A pack of bungee magnets for organizing cables, hanging keys, marking pages, holding pens, keeping cords together, and pretty much anything else you can think of. Get a pack of 12 from Amazon for $11.99. 27. A mouse pad complete with a pen holder, two transparent sheets, card pockets, ruler, and writing pad so everything you need is right in reach. 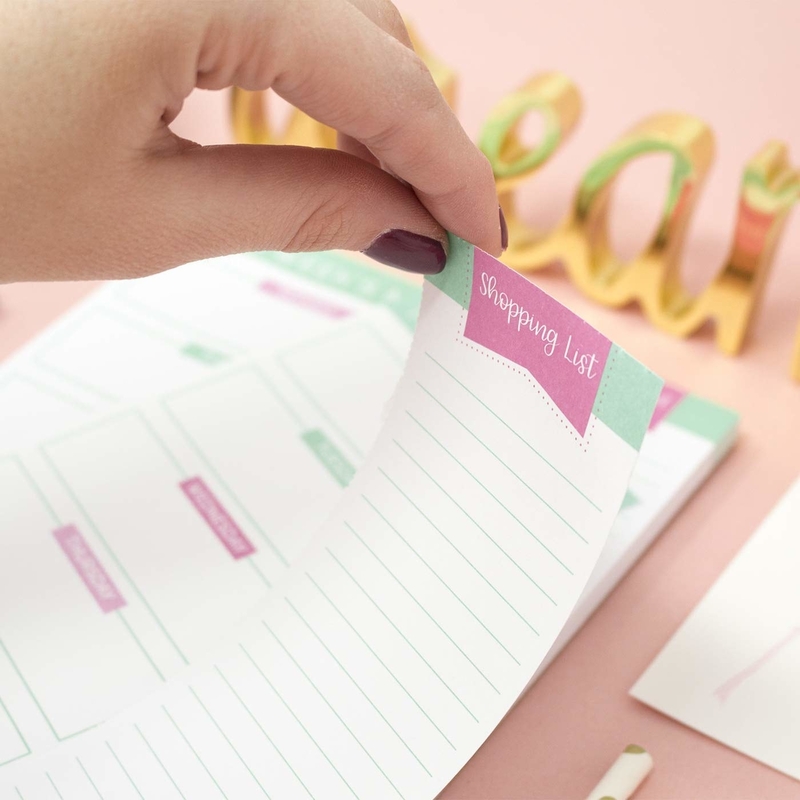 The planner part is separated into three categories: weekly plans, things to do, and notes & memo. You can add sticky notes or write with dry erase markers on the plastic sheets. 28. A house-shaped wall mount with a basket and key hooks. Where is a good place to keep all the stuff you need before you leave the house? There's no place like home. 29. A pack of hanger hooks to get a cascading hook situation going. More room means more clothes, right? Get a pack of 50 from Amazon for $8.99. 30. A duo of hanging cloth pockets for seriously whatever you want. All your odds and ends can finally have a home. 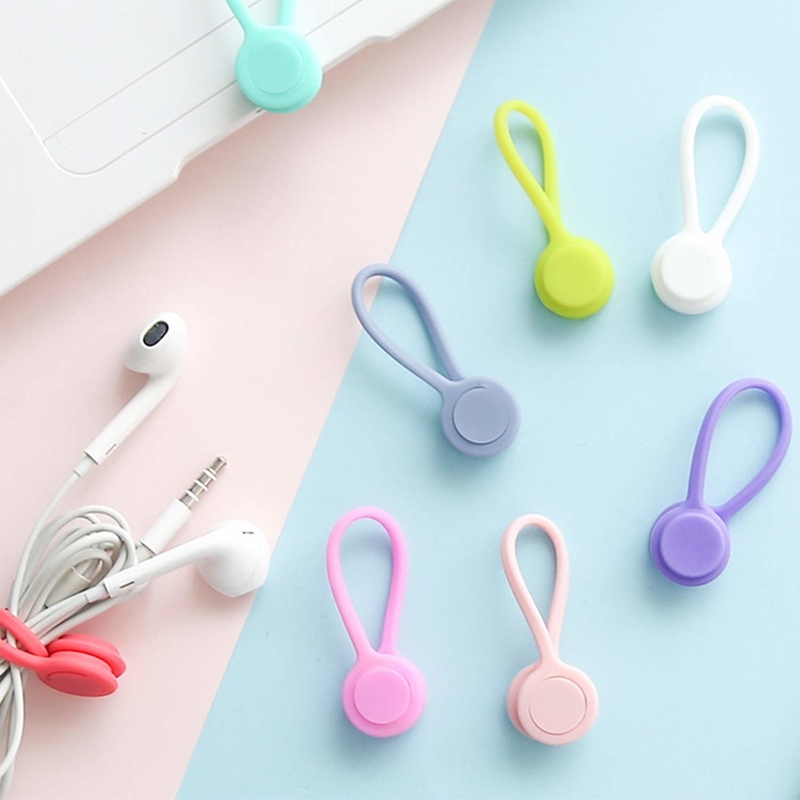 Get them from Amazon for $7.10+ (available in three colors). 31. And a gold-colored mail sorter to put the bills right in your face so you don't forget to pay them. At least they'll look good? Get it from World Market for $9.98.